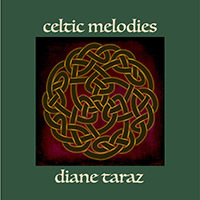 For years, Diane Taraz has been writing her own original songs and breathing new life into traditional ones. She brings a dry wit and a light touch to explain the intricacies of her music. Audiences listen entranced as she sings a cappella, a challenging style at which she excels. Dirty Linen magazine calls her a "fine, inventive guitarist" and she plays lap dulcimer with equal passion. On her CDs and in concert, Diane delves into fascinating corners of music. She draws inspiration from Celtic, British, French-Canadian, and American folk, plus blues and jazz. Performing live, she presents historic programs that focus on the American Revolution, the Civil War, and other eras. 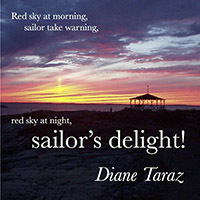 "Diane does an extraordinary job weaving together history and performing arts through storytelling and beautiful song. Her meticulous research, musicianship, engaging presence, sense of humor, period costumes, and professionalism allow her audience to lose themselves in a delightful experience that transports them to another time. New England historical sites and history buffs are incredibly fortunate to have Diane Taraz in our midst to bring our past to life!" -- Robert A. Perry, Executive Director, Charles River Museum of Industry and Innovation, Waltham, Mass. Born in the Berkshire hills of western Massachusetts, Diane has long made her home in the Boston area. 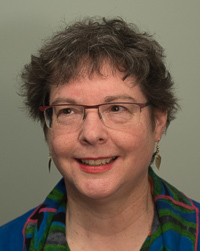 She directs the Lexington Historical Society's Colonial Singers (click on the name to visit) and sings with Vox Lucens, a 12-member a cappella Renaissance choir (click on the name for more), and the UUlations, a women's a cappella group. Most of the songs come from previously released recordings, but the sea-going collection has two new tracks: "Lady Franklin's Lament," a timeless melody that fits beautifully on the dulcimer, and "Leave Her, Johnny," in which I delight in singing all the harmonies.